Spring has officially arrived, and that means the high temperatures and higher humidity of summer are just a few short weeks away. 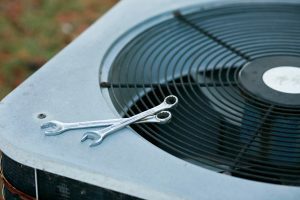 Your air conditioner will be called upon to perform every single day to keep your home comfortable, and if you have an older system, you may be worried about its ability to last until the fall. The last thing you want is to suffer an air conditioning breakdown in the middle of a heat wave, forcing you to rush a replacement session with no time to waste. If your system is on its last legs, then now is the ideal time to set up a replacement session. You have at least several weeks of comparatively mild weather, allowing you to set up a timeframe that fits your busy life and letting the service technician go over your options with you so you can find the best system for your home. But before all of that happens, you need to decide if your air conditioner needs replacing, or if it’s still good to go for another summer or two. Only you, the homeowner, can make that decision, but there are a few specific signs you should look for to help. The first and foremost consideration comes with the system’s age. Every air conditioner comes with a warranty covering parts for a set amount of time. While the warranty is still in effect, your system should be good to go and any problems can usually be dealt with as a repair job rather than a replacement. Even if your warranty has expired, you can keep it going reliably with regular maintenance sessions: extending its lifespan by months or even years in many cases. The combination of an expired warranty and an ongoing issue, however, is usually the best sign that you need a replacement. Repairs. Repair jobs tend to become more frequent the older an air conditioner gets, and eventually, they may become too frequent or too expensive to make continued work on the existing air conditioner worthwhile. As a rule of thumb, if you have to schedule more than two repair sessions in a given twelve-month period, it’s a sign that a new air conditioner may be needed. Alternately, the decision may only hinge on one repair job, but its sufficiently expensive to make investing in a new system preferable to pouring money into the old one. Monthly Costs. Sometimes, it doesn’t need to be a breakdown to prompt a replacement session. Monthly costs tend to go up as wear and tear take their toll and the cost of running the system gets higher and higher as a result. Eventually, replacing the system becomes the best possible option to give your monthly budget a break: allowing you to take advantage of the improved efficiency a new air conditioner brings. 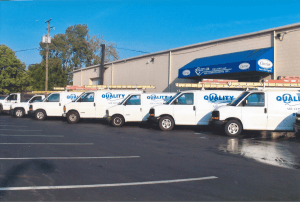 If your Columbus, OH home is ready for a new air conditioner, call the friendly professionals at Quality Air Heating and Air Conditioning to perform the job with courtesy and pride.